Twelve years ago you entered the world and as I held you in my arms and looked into your eyes, I once again voiced the many promises I had been whispering for months as I gently rubbed my growing belly. I promised to always love you with all my heart. I promised you would never be alone in this great big, complicated world of ours. I promised to love you unconditionally, and I promised to guide you on your life’s journey in the best way I know how. You are turning into an amazing young girl full of wonder and imagination, full of compassion and love, full of hopes and dreams. In all the promises I’ve made to you, the one thing I couldn’t promise – I can’t promise – is to shield you from the doubts and fears the world will create in you. 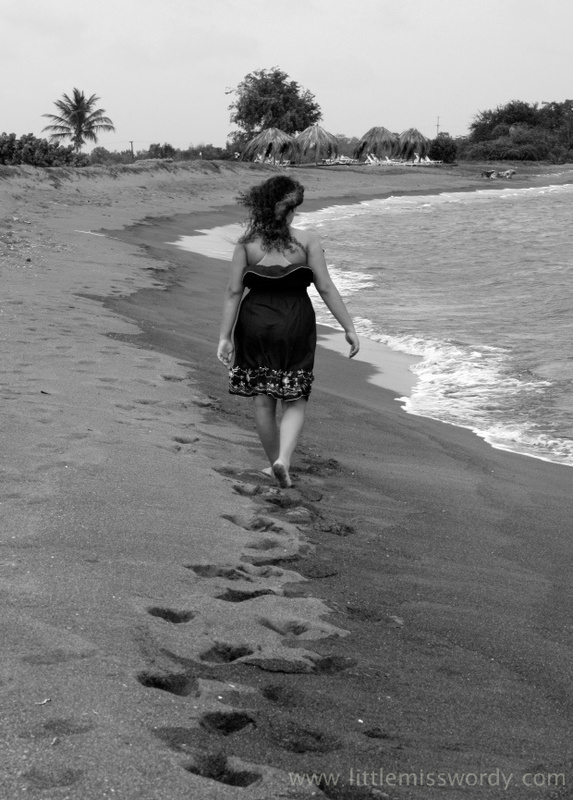 When we take our long walks on the beach, both in awe of the amazing untouched beauty that surrounds us, I often wish I could keep you in this protective bubble of endless sea, a world in which human nature and life experiences can’t dull your spirit. However, if I did that there is so much you would miss out on, so I shall continue to walk by your side through all that is in store for you – walking ahead when you need guidance and falling behind when you need to face the world on your own. I do promise to always remain present on your walk, understanding it is your walk and your walk alone, and all I can do is offer my love and my wisdom. As you continue to grow and mature, my hope is that you walk through life the way you walk along the shores, eagerly searching for sea glass. I hope you never lose your sense of adventure, always imagining possibilities beyond anyone’s expectations or jaded views. 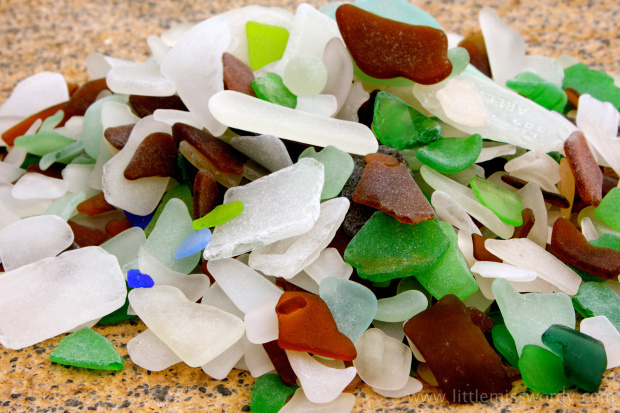 I hope you comb the earth for hidden treasures and view the world as a vessel of sea glass waiting to be discovered. Each person you cross paths with a treasure, whether they’ve been smoothly polished from tumbling around or a bit rough around the edges. Each has something to offer you. Do not be quick to discard them. As you travel, I hope you embrace the many colors you will encounter on your walk and understand the world isn’t always black and white. I hope you learn the lesson intended for you when you expectantly reach for a piece only to be hurt by its sharp point. Learn the lesson and move on. Do not let it stop you from continuing to search for the beauty that lies in wait. Never give up hope. Sometimes the most beautiful pieces are buried a bit under a layer of sand. Do not be afraid to dig a little deeper. There will be times when facing your fear of what lies down the path you are on is the bravest thing you will do. The reward will be great and the experience the greatest treasure you will ever uncover. As I walk a few steps behind you, I can’t help but hope that you will always see yourself through my eyes because I see a beautiful young girl both inside and out with so much to offer this world. I see an intelligent young girl who is practical and wise beyond her years, but also one who refuses to close her mind to a carefree world of imagination and possibility. My hope for you is that you never let the obstacles that lay in your path change you, but mostly that you take your time and treasure your walk one step at a time. And, whenever you find yourself needing company, know that I’m always up for a walk. 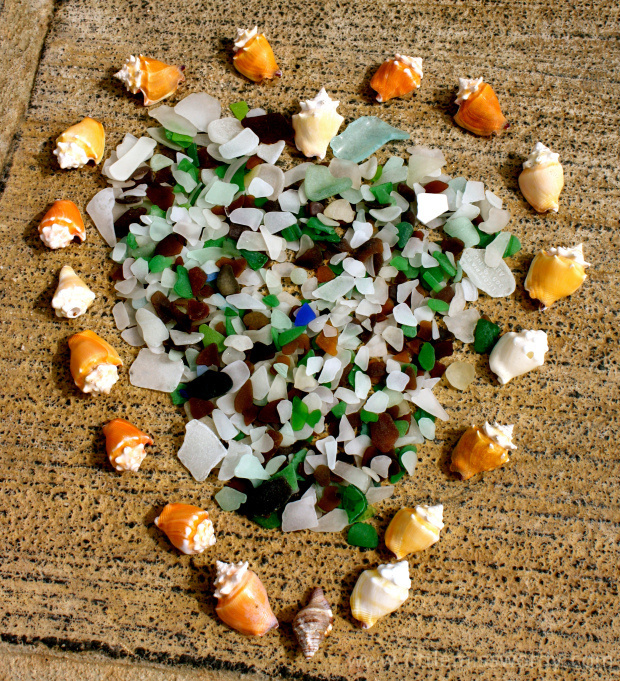 We have been living in Puerto Rico for the last six years and have collected enough sea glass and sea shells to add a few pounds to the moving container. 😉 I just love it and I’m so glad my whole family enjoyed it too. Each piece was a treasure to me! I’m going to miss my treasure hunts! I absolutely LOVE that you do this for your boys!! It’s precious that your 16 year old pins them to his wall and re-reads them. As for your other son, I’m sure he reads and appreciates the letters as well even if he doesn’t express the same way. You have inspired me to give my kids these types of letters I’ve written for them. Thank you! Watching our children grow is an amazing gift. Absolutely Beautiful! What we all want our kids to hear. Thank you Rhonda. I hope she cherishes my words as she gets older.